Call, Text or email 8 AM to 8 PM ET for the fastest response. The above domains are our one-stop real estate websites for all your real estate buying, selling, or questions. 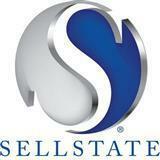 We are a TEAM of professional real estate brokers and agents at Sellstate High Performance Realty, who will help make your, as we have done for many other families over the years, the buying, selling, renting, investment, 1031 exchange of real estate properties an enjoyable experience.